Hey folks, hope you have had a fab Diwali. Mine was pretty good and I also created some fun content. Some of it was with the Bigo LIKE App. I am a big fan of GIFs and special effects; you might already know that if you follow my Instagram stories. And when I was introduced to the LIKE App I was pretty excited. I had too much fun creating videos on Diwali with these effects. Diwali wishes so much better. And not just me, many celebs like Ranveer Singh, Sonakshi Sinha, Sunny Leonne are creating some entertaining videos here. My personal favourite has to be the super eccentric Ranveer Singh. You have got to check it out. It is very simple to use this App. You can record directly from the App or add your pre recorded videos from the phone gallery. Then you have an option to adjust the length of the clip, the speed and the volume. Post that, you cut the final clip and head to my favourite part - Special Effects. There's glitter, sparkle, different types of bokeh, shower of flower petals, fireworks, the list is long. 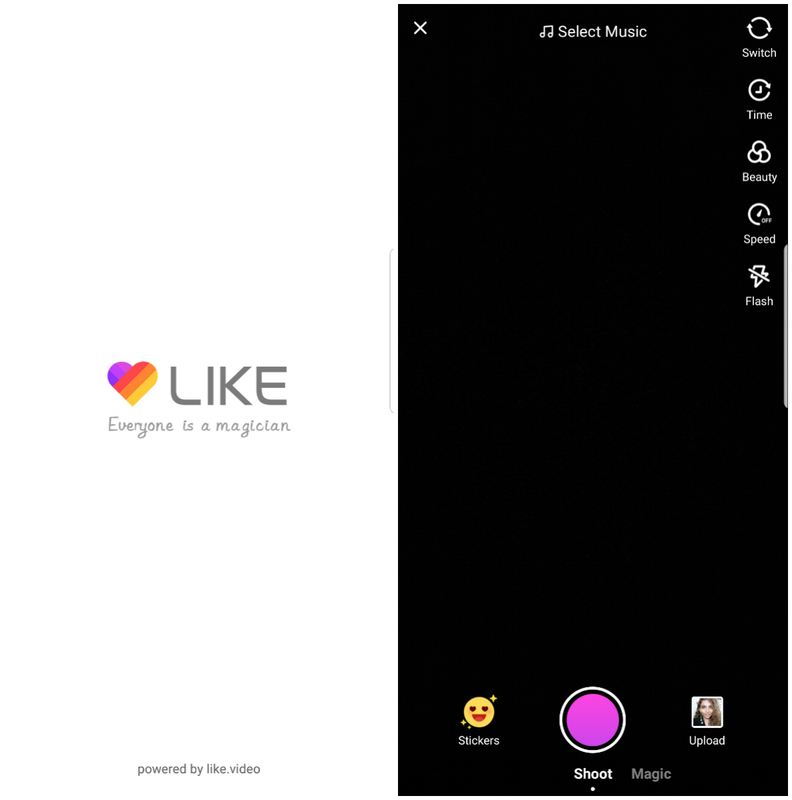 It gives your stories and videos some fun element. These effects are going to be very handy for me now that the party season has just commenced. I can't wait to create some fun Christmas and New Year’s content with these features. And the next interesting feature is the Effect Mix. Here you can add some great editing effects to your videos like reverse motion, ocean wave, the TV effect and much more. My personal favourite is the Spooky one! 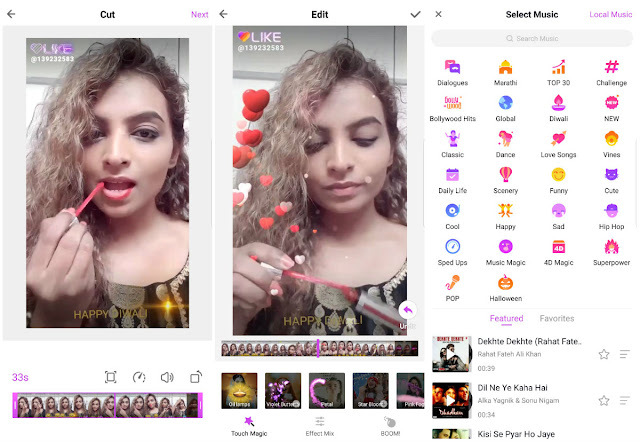 And this is like the best app for the Bollywood fans or for the peeps who love creating those lip sync videos. They have an array of those with some super fun 4D elements. Try out their 4D Magic. You can publish these videos to app's timeline or you can also download it just for yourself. Browsing through all the content made by the other users is super entertaining too! And n case you wanted a little cherry on the cake, the app is giving you a chance to win really exciting prices as a part of their #HappyDiwali campaign. They hosted a huge contest during the Diwali week, where prizes upto 2 crores were in store for the users.Log on to it know more! All in all, the Bigo LIKE App is a fun destination, to create and entertain and to get entertained too. I know I am going to be going crazy with the special effects, what's your deal? Decent post. I am so happy I discovered your blog, I greatly found you accidentally, while I was investigating on Yahoo for something else, Nonetheless I am here now and may basically need to offer significant thanks for a mind boggling post and an all around energizing web diary , I don't have adequate vitality to examine everything at this moment yet I have saved it and moreover incorporated your GST Software , so when I have time I will have come back to scrutinize altogether more, Please do keep up the spectacular work.